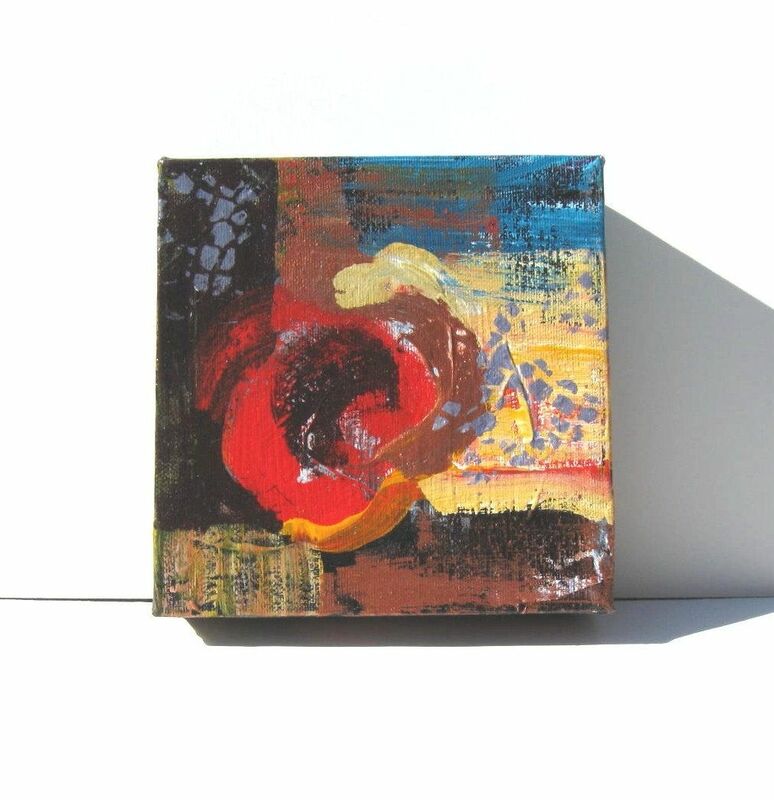 Small Abstract Painting Modern Contemporary Artwork "Red Circle"
This original abstract painting is painted in beautiful shades of autumn. 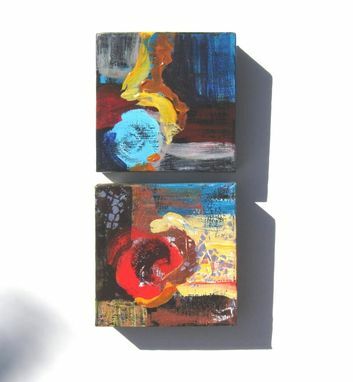 A touch of red and turquoise makes this little painting a great little spot of color for any space. Can even set on an easel on a desktop. 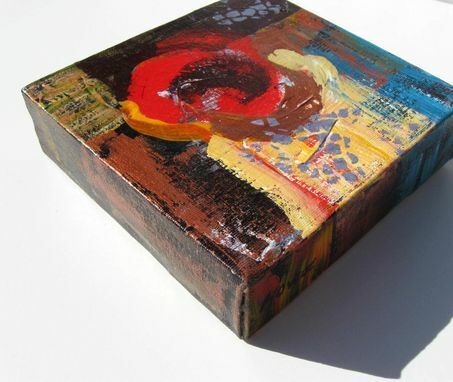 Bright and colorful, this modern abstract painting is on a 6"x 6" x 1.5" gallery wrapped canvas. Titled "Red Circle", this Urban, contemporary styled painting is a wonderful statement piece. 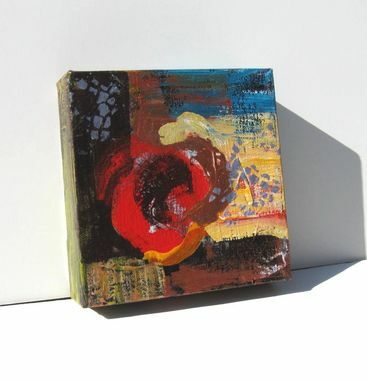 The thumbnail shows a companion piece also available in my shop. If you would like the pair I will combine shipping just convo me.